This Toolkit provides you with everything you need to successfully market any library. As libraries continue to fight for their survival amid growing expectations, competition from online sources and wavering public perceptions, effective marketing is increasingly becoming a critical tool to ensure the continued support of users, stakeholders and society as a whole. This unique practical guide offers expert coverage of every element of library marketing and branding for all sectors including archives and academic, public and special libraries, providing innovative and easy-to-implement techniques and ideas. The book is packed with case studies highlighting best practice and offering expert advice from thought-leaders including David Lee King and Alison Circle (US), Terry Kendrick and Rosemary Stamp (UK), Alison Wallbutton (New Zealand) and Rebecca Jones (Canada), plus institutions at the cutting-edge of library marketing including the British Library, New York Public Library, the National Archive, Cambridge University, JISC, the National Library of Singapore and the State Library of New South Wales. The key topics covered in the text are: * Seven key concepts for marketing libraries * Strategic marketing * The library brand * Marketing and the library building * An introduction to marketing online * Marketing with social media * Marketing with new technologies * Marketing and people * Internal marketing * Library advocacy as marketing * Marketing Special Collections and archives. Readership: The book is supplemented by a companion website and is essential reading for anyone involved in promoting their library or information service, whether at an academic, public or special library or in archives or records management. 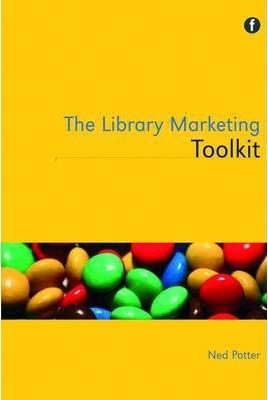 It's also a useful guide for LIS students internationally who need to understand the practice of library marketing. 1.Seven key concepts for marketing libraries 2. Strategic marketing 3.The library brand 4. Marketing and the library building 5. An introduction to marketing online 6. Marketing with social media 7. Marketing with new technologies 8. Marketing and people 9.Internal marketing 9. Library advocacy as marketing 10. Marketing Special Collections and archives.